I’ve been criticised a lot recently. Firstly I should say that I welcome criticism. I genuinely like it when readers get in touch either to say they like something I wrote or even to say that they didn’t. So long as they’re fairly polite I’m happy to read anything they say. Of course when they disagree with me it’s obvious that I’m right and they’re wrong but that’s their right. A complaint last week arose from my comments about a certain “Pastor Thuso” who advertised that at his forthcoming “Easter Convention” “the sick will be healed”. That’s quite a promise. It’s also, I believe, quite an extraordinary advertisement. Advertisements for the treatment and cure of various medical conditions are forbidden by Sections 396 to 399 of the Penal Code. Anyone who advertises in the papers, in the radio or “by any other method whatsoever” a cure for "genito-urinary diseases in any of their forms", cancer, diabetes, epilepsy, heart disease, blindness, TB and a host of other problems is breaking the law. One reader wasn’t happy about this. He got in touch to suggest that the promises of cures made by preachers on religious grounds are somehow above the law and that preachers should be free to promise whatever they like, so long as it’s biblical. He did concede though that we should test such claims as they are made. I disagree. I don’t think we should test a claim made by a preacher that he can cure AIDS if it means that someone with AIDS stops taking their ARVs and prays instead. I don’t think we should allow people to dissuade our family, friends and neighbours from doing what we know will help them. Not without evidence. I think we should do our best as a community to stop people undermining all the good that’s been done in the fight against HIV and AIDS. The same goes for TB, cancer, heart disease and all the other problems challenging our national health. I was also criticised for something I said about “alternative medicine”. On one of our blogs I reported a story from CNN entitled “Ginkgo biloba doesn't work”. Ginkgo biloba is a tree whose leaves are believed by some to offer an extract that helps with a range of mental problems such as dementia and memory loss. Unfortunately it simply doesn’t work. Yes, there have been studies that suggest it does work but they tend to be funded by, yes, you’ve guessed it, the companies that sell ginkgo biloba products. Impartial studies have shown absolutely no effect whatsoever. There lies an irony. One of the main arguments from the alternative medicine community is that big pharmaceutical companies are conspiring to suppress alternative or complementary health products. But can you guess who actually produces most of the alternative health products available? Yes, the big pharma companies themselves. They make double profits by selling both “normal” medicines (they’re the ones that work) and the alternatives (that don’t). Either way they win. Is it unfair for me to say that alternative medicine doesn’t work? No. Here’s why. If an “alternative” medicine is tested and is found to work it stops being “alternative” and becomes just “medicine”. Medicine is the stuff that works, alternative stuff doesn’t, by definition. If it works there’ll be evidence. How would you feel if a large company wrote you a letter and accused you of being a criminal? (OK, for a moment, just pretend you’re innocent, ok?) I think you’d have a right to feel offended. It then asked us to complete a list of all the PCs (yes, Microsoft, a plural doesn’t have an apostrophe) we own and what Microsoft licences we’re using on each. 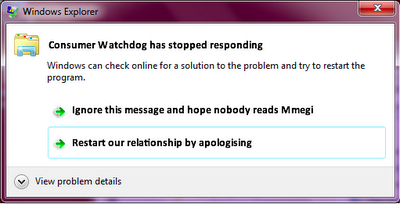 For the record neither Consumer Watchdog nor it’s parent company use pirated software. We have a licence for every piece of Microsoft software we use. Which we paid for with real money. Our own. Their statement that their records suggest something to the contrary is without evidence. One irony of this situation is that a couple of years ago we were approached by Microsoft’s own anti-piracy division to conduct a survey for them on the use of software in internet cafes. We were also the organisation who told Microsoft about certain stores that were selling pirated versions of their software. We’re the ones who sent them the recordings of the phone conversations we had with the crooks when they offered us pirated versions of all sorts of software. We’re the ones who sent undercover mystery shoppers into the stores at Microsoft’s specific request. The double irony is that although I use an Apple laptop (like all the best-looking, charming and charismatic people) which doesn’t run Windows I nevertheless use Microsoft Office on the Mac. I firmly believe that Office for the Mac is better than Office for Windows. I’m a big fan of some Microsoft products. So why would they go out of their way to insult us? Without evidence? I am, very regretfully, in receipt of your response to our attached letter. On behalf of Microsoft I wish to offer my sincere and unreserved apologies for any insinuation that Consumer Watchdog or Business & Enterprise Solutions Botswana (Pty) are involved in any piracy of Microsoft products. The correspondence sent to you (among about 8000 consumers in Africa) is based on an international database that uses certain key indicators to raise a query letter, and is in about 1% of the cases not correct. Again please accept my apology and thank you for the support that we have received from your organization to combat piracy in Botswana." I received an email saying that I had won the Yahoo, AOL, Windows Live Online Lottery. It says I have won £1,350,000? Can this be true? No, this is a scam. If you look closely at the email you received you’ll see a variety of clues. Firstly, there’s no such lottery. Companies like Yahoo, Microsoft and AOL do no collaborate on anything, they’re fierce rivals. Then there’s a simple fact everyone should understand. You can’t win a lottery that you haven’t entered. Nobody ever has, nobody ever will. Then there are the other clues. The address they give is wrong and their email is dreadfully written. Wouldn’t you think that a letter from companies like these would have the language perfect? At no point in the email do they use your name or any other identifying fact like an email address. How do they know it’s you that’s won? Finally, why do you think they give a contact person who is based in South Africa, not the UK? So why did they send you this email? That’s because this is yet another “advance fee” scam. Trust me, just before they say they’re sending you the money there’ll be a last minute hitch, perhaps a customs fee, a tax or even a bribe that they demand that YOU pay. It will probably be only a few hundred dollars but they’ll need you to pay it via Western Union and that’s when you’ll never see them again. That’s what the whole thing is about. Just delete the email and any others like it. I was bumped by another car in October last year. The person who bumped me didn’t have any problem in paying for the damage using her insurance. My car is also insured, my insurer paid the amount for my car to be fixed. Then the second party is supposed to pay the damage to me but the insurance company said they are going to claim the amount from the second party which I think she should pay me since my insurance have paid from my account and they increase the monthly premium. I think they are reaping me, because if I paid why do they claim from the second party? Please advise accordingly. Every month you pay your insurance company a premium in case a problem happens. In your case it covered you against problems such as fire, theft or an accident. Luckily the other person was also covered and her insurance policy covers her for any damage she does to other people’s cars. Because she crashed into you and accepted blame for the accident, her insurance company is responsible for paying for the repairs to your car and any excess you may have had to pay to your insurers. This means that the accident should not have cost you anything and the car should have been restored to its original condition. You’re not entitled to the money that your insurance company will recover from the other party's insurance company because your car repair has already been paid for. The only money you are entitled to receive is any “excess” amount your insurer might have charged you. It’s important to understand that when you buy an insurance policy you are paying the insurance company to take on the risks associated with your vehicle. They’ll pay for the repairs to your car or the value of your car if it is stolen. The way that it works is that the premiums paid by all customers are pooled and the insurance company will use that pool to cover the losses they incur from the few customers who make claims. Asking for the money from the other driver’s insurance company is asking for a double payment that you’re not entitled to. I found a leaflet on my car offering my the chance to earn P500 per month. It also said I could earn $1 million annually. Can this be true? Of course not. It’s a lie. The leaflet is from a local distributor of Herbalife products. I have no particular problem with health products, so long as they’re shown to be safe and aren’t used instead of real medicine, but I do have a problem with any multi-level marketing program and Herbalife is a good example of how it can go wrong. The problem, as we’ve seen in the past with Herbalife, is that they have no direct control over their distributors. In November last year, the same distributor who produced the leaflet you saw claimed that he had Herbalife cures for prostate cancer and could help someone with AIDS to improve their CD4 count. That was simply a blatant lie from a blatant liar. He’s now claiming to have guaranteed weight loss products, which of course you only get to see after a joining fee of P851. But what about the chance to make that $1 million? Can that be true? Certainly not. As with all MLM companies the income you end up making is tiny. In fact Herbalife is forced to disclose the earnings their “Leaders” make each year. 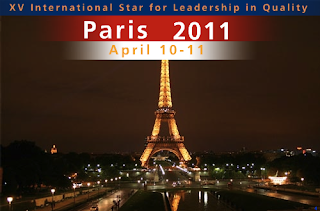 In 2009 they disclosed that less than 2% of their distributors earn more than two thirds of all the collective earnings. Nearly 90% of their distributors had an average “annual gross compensation paid by Herbalife” of a mere $478. And that’s not profit, that’s the income before you’ve paid your phone bill, your travelling expenses, bought all the materials and taken care of every other cost. So no, I suggest you tear up your leaflet and ignore these false promises. Dalberto Sponsors have died. Good. We reported on several occasions in the past on a scam calling itself "Dalberto Sponsors", a fake recruitment company. Their web site is no longer operational. Perhaps they've died? However, be warned, they'll be back under a different name sooner or later. It then asked us to complete a list of all the PCs (No, Microsoft, a plural does NOT have an apostrophe) we own and what Microsoft licences we’re using on each. The irony of this situation is that a couple of years ago we were approached by Microsoft’s own anti-piracy division to conduct a survey for them on the use of software in internet cafes. We were also the organisation who told Microsoft about certain stores that were selling pirated versions of their software. We’re the ones who sent them the recordings of the phone conversations we had with the crooks when they offered us pirated versions of all sorts of software. We’re the ones who sent undercover mystery shoppers into the stores at Microsoft’s specific request. We're the ones they paid to conduct a secret survey of all the internet cafés in Gaborone. For the record neither Consumer Watchdog nor it’s parent company use pirated software. We have a licence for every piece of Microsoft software we use. Which we paid for with real money. Our own. Their statement that their records suggest something to the contrary is unfounded, without evidence and deeply bloody insulting. Not HIV/AIDS, not high blood pressure, heart disease or even the greatest threat to a country, unemployment. No, we’re facing an epidemic of cheats, scammers, frauds, charlatans and low-down lying vermin. They’re everywhere you turn. They’re in the newspapers, the internet, billboards on the streets and on the phone and TV. If we don’t develop a national immunity and resistance to these vermin soon they’ll be the financial death of us all. I heard from a reader this week who was considering studying for a degree from UNISA. However he’d just heard of an online service called “Universal Degrees” who offered him a degree in 15 days if he just gave them a wad of cash. I checked and this is indeed true. All you need to give them is $1,576 and they’ll supply you with a Bachelors, Masters AND a doctorate, all within 15 days. What’s more they’ll even backdate the lower degrees to make the package look more convincing. None of their degrees require any previous qualifications or real experience. Just by suggesting that I was prepared to pay for it I was offered their combination degree package in Nursing and when I asked if this would allow me to get a job in nursing I was told “Yes 100%”. That’s enough for me. These cheating, scamming slug-slime know full well that unqualified people plan to use their stupid, fake qualifications to get jobs in areas where real qualifications actually matter. If just one person in the world gets a senior nursing position with one of their joke degrees then Universal Degrees and their fake “Corllins University” each deserve a community smack in the face. The law can deal with them afterwards. Now that’s just asking for trouble. I SMSed Pastor Thuso and asked him (or his acolytes) what diseases he promised to heal. His reply, 5 minutes later, was simple: “All diseases including AIDS”. My friend Thuso is on very dangerous ground. Offering cures for AIDS is illegal, as is offering cures for cancer, heart disease and diabetes. Maybe he shouldn’t have offered to cure them as well? Apparently all I have to do to get these cures is “blv that God can do it”. Unfortunately for Thuso the law makes no provision for supernatural intervention. If you claim you can cure disease you need to be able to explain yourself. Despite what some people might say I have no problem with people having religious belief. It’s their business, not mine, but it becomes my business when charlatans are making promises to my brothers and sisters that they can perform impossible miracles. It’s my business when the health of my family, neighbours and friends is threatened by false promises. Let’s go through this one step at a time. Psychic powers don’t exist. If they did someone would have claimed the $1,000,000 prize from the James Randi Educational Forum, which offers the money to anyone who can prove that they have supernatural or paranormal powers. So far not a single person has passed even the simplest of tests to prove their psychic claims. So I think we can assume “Tara” is not genuine. Then you have to ask yourself why these fake psychics aren’t doing some good in the world like predicting earthquakes and tsunamis (nobody ever does BEFORE these disasters happen, they just claim to have done so afterwards). Or why aren’t they winning national lotteries and giving the money to charity? The reason is, of course, that they, like all psychics, are fakes and charlatans. So-called Tara, like most online psychics isn’t even a human being, she’s a work of fiction. They are no more than computerised generators of text, assembled from standard sentences that are assembled randomly to make a “unique” reading for each sucker that coughs up their credit card details. You can rest assured that none will predict that you’ll have a car accident or that your auntie will die next Tuesday. In September last year we warned people about yet another fake awards ceremony calling itself the "World Quality Commitment Convention". Unfortunately they’re back again. The two key pieces of evidence that this is a scam were firstly that they invited a company who had never even traded to receive an award and secondly that they wanted cash up front. Last year they wanted €3,700 (about P30,000), this year they've gone up to €3,800. That's BEFORE you cough up money for flights, hotels, booze and fun. Well, they're back, enticing people with promises of celebration, fame and fortune. But this also is a scam. Please don't fall victim to fake awards schemes. You'll get a worthless, totally unrecognised piece of paper, a silly ornament for your corporate mantelpiece and lose a huge amount of money in travel, accommodation and embarrassment. Frankly I sometimes feel that I’ve had enough of these lying scumbags stealing our money from us with their liars and cheating. Surely the time has come for us to stop sitting back and allowing ourselves to be taken in by these crooks? Isn’t it time we stood up and told them where they can stick their scams? Beatrice and Kgomotso at Botswana Savings Bank for being extremely helpful and considerate. Albert at Air Botswana for “being brilliant”. “Universal degrees” is no more than a web site that will take your money and offer you a fake degree from an equally fake university. 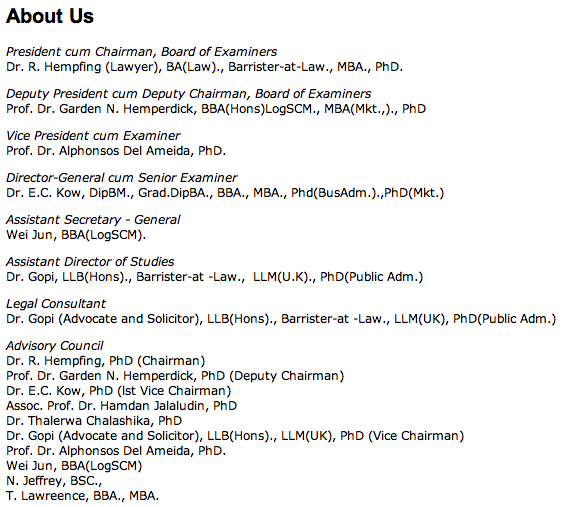 In fact they claim to offer degrees from “Corllins University”, a university that also exists solely on the internet. The fake university claims to be registered and accredited by the “Accreditation Panel for Online Colleges and Universities”, yet another fake body. The web site you visited says clearly that once they’ve assessed your “life experience” you can get a degree from them for US$949. A PhD costs a bit more, $1,289. Remember that all of these qualifications can be acquired entirely without any work by you. He also explained that if I buy their “Combinational Degree Package” which includes a bachelors, masters and PhD degree and which will cost $1,576, they can backdate the lesser degrees to earlier dates. Calvin told me that this could all be done with “no classes, courses and no exam” and I would have my degree certificates within 15 days. And the degree subject I wanted? Nursing. I think by now we know that this is all a fraud and a scam? “Universal degrees” is a fake provider of fake degrees from a fake university. Don’t waste your money on fake goods. Get the real thing instead from a real university. I have recently come across a company called Iforex over the internet which offers online trading in currencies. Their spokesperson says they are based in Greece and that they are regulated by the Hungarian Services Authority. Please find out for me if they are genuine and safe to do business with. They require an initial deposit of $100 to start trading online. The activity is done through a credit card. What are the risks if any? Can you offer any information that might help me? No, neither can I. The critical thing to understand is that if you don’t fully understand all that jargon then you shouldn’t be risking your money. The “Risk warning” page contains over 3,000 words of warning. It didn’t take me long to find a range of warnings from experts that amateur currency exchange is full of dangers. If these reports are to be trusted the vast majority of amateurs who trade in currencies lose lots of money. It’s not worth the risk. A couple of months ago we reported on a sports store that sold a customer a P499 pair of Levi’s “fashion shoes” that very quickly started to fall apart. When he complained to the store he was told that it was all his fault because he shouldn’t have gone dancing in them. Rather than deal with a bully I called Levi’s in South Africa and explained the situation. They were horrified that a Levi’s customer had been treated so badly by the store. Without hesitation they dispatched a brand new, better pair of shoes to the customer, entirely for free. The customer is delighted both with the shoes and the response from Levi’s. So this week we celebrate Levi’s for showing that they’re company that knows how to treat customers. Fake degree holders - who are they? I confess I'm surprised by how many people are so open about having degrees from "life experience" universities. Don't believe me? See here for people who've been so shameless that they've publicised their fake qualifications from "Corllins University", Ashwood University, Knightsbridge University and Belford University. Despite making it clear that I had no qualifications and no experience my fake identity received three emails from the fake Universal Degrees this morning. "We would like to inform you that in order to make your information presentable, we have started working on your resume." "This is a request for payment from Universal Degrees." "We are pleased to announce that based on your resume and your profile score calculated using the CPAAS® profile evaluation system, the evaluation committee at Universal Degrees has finally approved you for Bachelor's Degree + Master's Degree + PhD Degree." I've also had two separate phone calls from them today chasing the money. So all it takes is the money and the degrees are mine. Who would have thought that getting qualifications was as simple as that! I thought it took hard work and intelligence. Silly me. This is a transcript of an online conversation I had with "Calvin Carter" from Universal Degrees, a seller of fake degrees from a fake university with fake accreditation. Advisor 15: Have any Questions? Speak to a Senior Advisor for more information. Advisor 15: What we do is we take down your life experience, that is your working experience and your past educational qualification, convert them into credit hours, if these credit hours are equivalent to the credit hours that are require to complete your desired degree then you qualify and we award the degrees accordingly, if you are successfully evaluated we start with the registration process registering you and your documents with the university and the Accreditation bodies and after that we make sure that the documents are shipped out to you in the next 10 working days. Advisor 15: As i can see you are filling an application for bachelors+masters and PHD? Me: all at the same time? Advisor 15: So in which field you want to earn these degrees? Advisor 15: So when do you want me to back date the graduation year of bachelors and masters? Me: so if i go for the combination degree i can get a Phd this year and the other degrees in the past? Advisor 15: in which year you want me to back date your bachelors and master's? Advisor 15: which one is that for your bachelors ? Me: yes and the masters in 2005? Advisor 15: So what is the address where you want us to deliver the documents at? Me: how much will the combined degree cost me? Me: for all three degrees? Me: just let me check, that's in Nursing, with no qualifications and no exams? Me: would that enable me to get a job in nursing, do you think? Advisor 15: Corllins University degrees are generally accepted by employers across the globe as they are awarded by a recognized university which is fully accredited by top accrediting body of online education. Advisor 15: We have thousands of satisfied graduates which include military officials, working adults, job seekers etc. and they have used their degrees effectively to get good jobs and to get promotions in their existing jobs. They're cheats, scammers and frauds. In September last year we warned people about yet another fake awards ceremony calling itself the "World Quality Commitment Convention". The two key pieces of evidence that this is a scam were firstly that they invited a company who had never even traded to receive an award and secondly that they wanted cash up front. Last year they wanted €3,700 (about P30,000), this year they've gone up to €3,800. That's BEFORE you cough up money for flights, hotels, booze and depravity. You can see our comments last year here. Well, they're back, enticing people with promises of celebration, fame and fortune. But it's a scam. My very good friend Dave Williams died recently. It seems that despite what his family and friends sometimes feel, there were actually some people who didn’t know him. It’s hard to believe that someone as out-going and approachable, someone who so enjoyed meeting people, someone as generous as he was, wasn’t known by everyone. Despite missing him terribly it’s not his family and friends I feel sorry for. Instead my sympathy is for those of you who didn’t know Dave. Those of us who knew him were the lucky ones, we had the opportunity to spend time with him, those who didn’t are the ones who should be mourning their lost opportunity. One of Consumer Watchdog’s little secrets is the number of people that provide free, anonymous advice. They all prefer to stay anonymous, none of them is seeking gratitude or recognition, they just want to help with specialist advice they might have. Dave was a great example of this. He was the lawyer we turned to whenever we needed to understand a piece of law, an opinion on how best to advise a consumer or even just someone to help us mull over a situation. I last saw him a couple of weeks ago to pick his brains about things. We’d had a number of complaints from readers that I wanted him to consider. They were all fairly straightforward and I thought my understanding of the law was ok but when you have a friendly attorney who’s happy to chat over a coffee or two it’s worth checking. That’s in quotes because that was said in a ruling by Judge Dow at the High Court in Lobatse on 18th August 2008. So it’s law, geddit? So the loan shark who recently demanded a total repayment of over P10,000 from a consumer who had originally borrowed a mere P1,000 isn’t going to get her money. Lawyers, magistrates and judges all agree on that so loan sharks better stop trying it. One of Dave’s particular passions was combating illegal debt collection. He’d spent a lot of time trying to stop debt collectors adding enormous and unenforceable fees to the debts they collected. His ambition was to stop this happening forever. You can rest assured that we’ll continue this in his name. Another of his genuine passions was getting the law closer to the people it protects. Dave was one of the key players in developing our new Legal Aid mechanism that will give the poorest and least fortunate people access to legal protection. When this system finally becomes available it will Dave Williams that deserves our thanks. Unfortunately Dave’s passing leaves us with a gap in our arsenal. We no longer have an astonishingly generous, friendly and supportive lawyer on call to offer consumers advice. Is anyone prepared to volunteer to take his place? We can offer you many things if you offer to help. We can promise you complete anonymity, an absolute absence of recognition and no fame or fortune at all, just the knowledge that you’re helping consumers who have been abused. And perhaps the occasional breakfast on us. Any volunteers? When I spoke to Dave the first time about helping us in this way I made him an offer. I promised him I’d never tell a single joke about lawyers. You’re welcome to, he said, just so long as I understood he’d double his fees if I did. Seeing as he’d just agreed never to charge us I wasn’t too worried but I kept to my side of the bargain. But now he’s gone that obligation is lifted. Until we get another friendly attorney like Dave I think I’ll pass on a lawyer joke each week. Did you hear that they’re using lawyers in laboratories instead of rats these days? It seems that there are certain things even rats won’t do. Some months ago we reported on a sports store up north that sold a customer a pair of shoes that very quickly started to disintegrate. When he complained he was told that it was all his fault, he shouldn’t have gone dancing in this P499 pair of Levi’s “fashion shoes”. Needless to say both the customer and we were shocked. The store later got extremely angry when we reported on the story, threatening us with hellfire and damnation unless we retracted the story. We didn’t, it’s still there on our blog for all to see. Realising that the store didn’t really care I called Levi’s in South Africa and explained the situation. They were as appalled as we were and expressed their concern that he had been treated so badly by the store. Without the slightest hassle or hesitation they dispatched a brand new, better pair of shoes to the customer, entirely for free. I heard recently from him and he’s delighted both with the shoes and the response from Levi’s. So are we. So this week we celebrate Levi’s as a company smart enough to know that for the price of a pair of shoes they’ve just got a fan for life and showed themselves as a company that knows how to treat customers. Unlike a certain chain of stores. In April of last year I took out a small loan of P1,000 with a certain cash loan company. 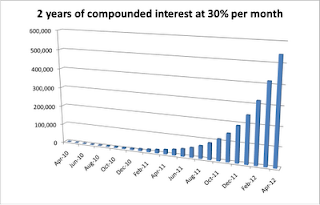 The terms were such that I repay back the loan within two months at 30% interest rate. I was then later in the year hospitalised and had to go for an operation, one that my medical aid couldn’t cover. That definitely added to my difficulties as far as my finances go. After the operation I told the lender my added problems. He then gave me a document which showed my balance due to him including compounded interest at a staggering P10,500. He really insists that I repay the whole amount and is threatening to write a letter to my bosses and taking legal action against me. I just wanted to find out if it’s within the law for cash loans to keep adding interest regardless of the customer’s inability to pay?? They key thing here is “compounded interest”. 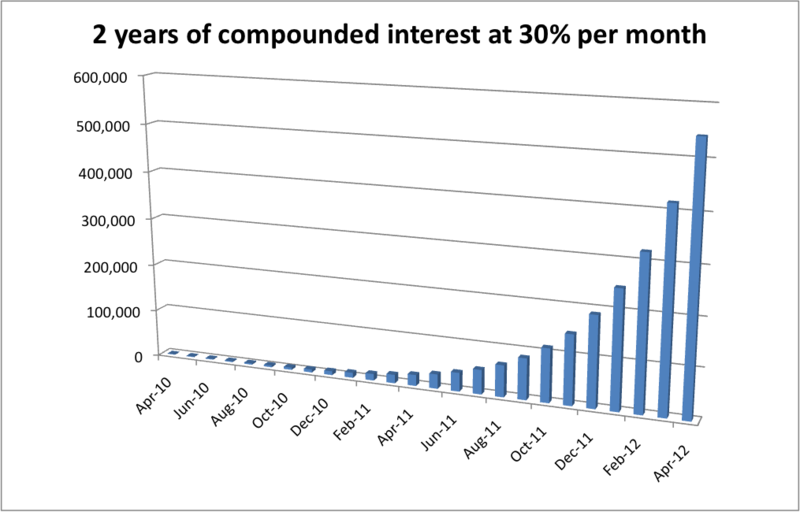 I suspect that most people think that when a moneylender says he’ll charge you 30% interest each month he means 30% of the amount you borrow? In fact it’s not. He really means, but he almost certainly won’t tell you this, that he’ll charge you 30% of the total amount you owed him last month. That will include any amount you failed to pay him last month and the months before. In the first month after you borrowed P1,000 he’ll charge you P300. If you don’t pay him P1,300 then the next month he’ll charge you 30% of P1,300 which is P390. The next month he’ll charge you an extra P507, then P659, then P857. After just 6 months he’ll charge you more in interest than the amount you originally borrowed. Let’s assume, for a moment, that it IS OK for them to keep adding an extra 30% of the amount you owed them last month for ever and ever. If you took a loan for P1,000 in April last year, by April this year you would owe them a total of P23,000. By this time next year it would have risen to P542,000. In April 2013 your debt would be P12 million and by September 2014 you would owe them over P1 billion. Clearly if this was possible we’d all be moneylenders. Unless we had a sense of morality of course. This is why there are limits to how much interest can be charged. To stop low-down, miserable, cheating, scumbag sharks like this one exploiting the vulnerable. That’s why the courts in Botswana respect the so-called “in duplum” rule which says that, at the time you settle a debt, the interest the lender charges can not exceed the amount you borrowed. In your case if the money-lender ever actually took you to court they would only ever force you to pay him P2,000, the amount you borrowed plus the same amount in interest. Of course you then might be forced to pay his legal costs but nothing like the amount he’s demanding. I’m certain that your moneylender knows this, he’s just assuming that you don’t. Rest assured we’ll tell him and perhaps then he can offer you a more sensible settlement amount? The lesson however is not to trust unscrupulous moneylenders. You don’t have to be a Christian to have an instinctive repulsion for their species, like you would for any other slimy creature you find under a rock. It’s ALWAYS better to approach your bank first to ask for a loan. If that doesn’t work then try your employer or one of the larger, publicly listed lenders. They at least will abide by the various laws that govern them. Cash loan moneylenders should be avoided like a communicable disease. I have been renting a house and I was unable to pay my rent for February but my landlord decided to lock the house and kept me out for all of March. So for the whole of March I have not been able to stay in the house and have nothing to wear as she decided to lock everything that’s mine in the house. She wants me to pay her rent for February and March. What I want to know is whether she is allowed to lock my property in her house and demand payment while I had nowhere to sleep? You certainly owe your landlord the rent for the time you were allowed to stay in the property. However I don’t think you do if she wouldn’t let you stay there. What’s more a landlord can’t lock you out of accommodation or seize your goods, that’s illegal. There are formal legal processes to deal with tenants who are in arrears with rent which all require the landlord to go through the courts. Only a Sherriff with a court order may seize goods. Anyone else is a thief. I suggest you report this matter to the police. Consumer Watchdog wouldn't be what it is today if it wasn't for the support we've had from the media, the public and a small number of critical donors of time and effort. The greatest of these was our all-time favourite attorney, Dave Williams, who passed away earlier this week. He was always there with advice, knowledge, skills and energy. He never wanted any credit for it, he always insisted on being anonymous. His loss is extremely painful to all of his family and friends. We were proud to be his friends. Our thoughts and love are with his children Guy and Liz. In July 2005 the very first Consumer Watchdog article appeared in Mmegi and the first line was “The consumers of Botswana are being exploited”. That article, all those years ago, was about store credit in furniture stores and the dreadful, appalling interest charged by micro-lenders. It was also about the habit that loan sharks had of taking their customers’ ATM cards for the duration of their loan. We found one loan shark who even told his victims that he had the written permission from Standard Chartered Bank and FNB to take ATM cards from their clients. Naturally that was just a lie. At the time their micro-lending industry association forbade the micro-lenders from charging more than 30% interest per month. The interest charged by a bank credit card in those days was about the same percentage per year. Despite the various efforts the Government and other agencies have made I don’t think so. Last week we had an email from a reader who explained his situation. In April last year he borrowed P1,000 from a cash loan company, agreeing to pay it back over just two months. He agreed to pay the usual 30% interest each month. So the total amount he’d repay would be P1,600. When he finally recovered he went to the lender and was given a statement of his debt. It now appeared that having borrowed a mere P1,000 he now owed a massive P10,500. What’s more the lender has now threatened to write to the victim’s employer and to take legal action against him for this new, outrageous amount. Errr, let me think, what’s that word I’m looking for? Oh yes, it’s NO. No, No, No, this loathsome, filthy, slimy loan shark CANNOT do this. If he thinks he can he’s either stupid or wicked. Or both. After a month of not paying the lender you’ll owe the original P1,000 plus last month’s P300 interest. The next month you’ll owe an extra 30% of P1,300 which is P390. If you make no payments the following month it will be an additional P590, the next month another P659. The total bill after 9 months will be P10,604. If you let things go further than this the total bill will become staggeringly huge. After 2 years you’ll owe over half a million Pula, a million after 27 months, after 44 months you’ll have hit over P100 million and after 53 months you’ll owe him over P1 billion. Clearly this is insane but can it be true that a shark can demand these amounts? Well, yes, they CAN demand them. They can beg, they can get on their knees, they can even ask nicely if they want. You can even pay them if you want to. But get this. They can’t make you pay those amounts. The only legal way they can demand payment is by dragging you to court and guess what? The Court will tell them where they can stick their demands for outrageous sums of money and trust me, it will be somewhere painful and embarrassing. Our courts, being fairly sensible, respect something called the "in duplum rule". This remarkably sensible rule says that, at the time that a debt is settled, the interested charged may not exceed the amount that was borrowed. The lender can demand P10,500 from the victim for a P1,000 loan but no court will issue a ruling saying they have to pay that amount. The court will only require the victim to pay P2,000. Back to my original question. Has anything changed in the 6 years since we first wrote about these reptiles who prey on naïve victims? Right now I don’t think much has changed. We’ve tried to educate people here in Mmegi but I don’t see much from the bodies actually empowered by law to take action and enforce the rules. Maybe the good news is that I haven’t heard of any cases of people being successfully sued for a billion or two. The courts are doing their jobs I suspect but why are things even reaching that stage? Why aren’t the authorities mystery shopping loan sharks and telling the rule-breakers the error of their ways? Maybe just like six years ago they need Consumer Watchdog’s help doing so. That’s something we’ll be doing in the near future. We’ll be investigating a few loan sharks and seeing how badly they behave. We’ll then let you know who the really awful ones are. And it WILL include their names. I thought there was effective medication for mental illness these days? The lunatic Northern Ireland Institute of Business and Technology (British) don't like being called lunatics. This is my advice to you. DO NOT LABEL US AS FAKE. LUNATIC, SCAM ETC. RETRACT ALL YOUR FALSE CLAIMS OR FACE THE MUSIC. I don't understand why I would be answering THEIR questions? Here are mine, no answers forthcoming from them yet. They're all very simple. The answers should be easy. Why do they call themselves "British" and use "Northern Ireland" in their name when they are not British and aren't in Northern Ireland? 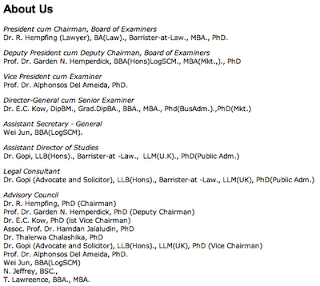 Why can I find no trace of their academic or administrative staff anywhere on the Internet other than their web site? Why do they claim accreditation from a fake accreditation body, the “International Accreditation and Recognition Council”? They have previously threatened me with the FBI and Interpol. Do they realise what these bodies actually are? Why, if they don't like being accused of acting like lunatics, do they behave like lunatics? Here's something else simple. In response to their instruction to "RETRACT ALL YOUR FALSE CLAIMS". I haven't made any. So I won't. Least of all he was Consumer Watchdog's lawyer, always there with advice, passionate in his support, dedicated to people's rights. Most of all he was our friend. A very good one. We love lawyers. Yes, honestly, we do. You can rest assured we will be telling all the micro-lenders, cash loan operators and general loan sharks about this. From a judgment by Judge J Dow at the High Court in Lobatse on 18th August 2008 in the case of KGOLOLESEGO FINANCIAL COMPANY (PTY) LTD v KETSHOTSENG 2008 (2) BLR 269 (HC). "The in duplum rule serves to aid debtors in financial difficulties by holding that it is unlawful to recover interest equal to or more than the capital sum upon which interest had accrued. The rule serves an important social function by protecting debtors and providing that any clause in a contract that seeks to deprive a person of the protection afforded to them by the law is unenforceable by reason of its illegality or on the basis that it offends public policy.